Happy St. Patrick's Day! 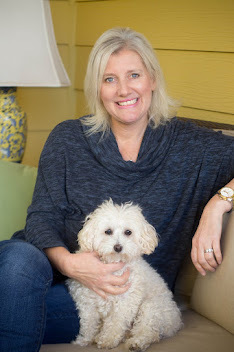 My friend, Michelle, hosted a St. Patrick's Day party at her Wilmington, N.C. home this past weekend. I fell in love with this rainbow fruit tray she assembled with strawberries, oranges, pineapples, grapes, bananas, and marshmallows. 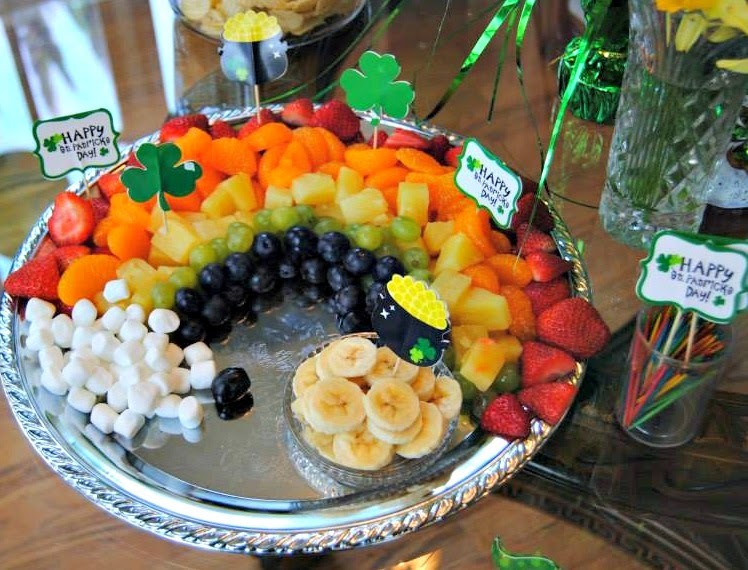 I think this is a fantastic idea for a kid's themed party, especially for St. Patrick's Day, but any party really. Think My Little Pony! There is a horse named Rainbow Dash. Cute, simple, and clever idea. I think I could make the fruit tray, but I leave yummy baked goods to the Raleigh baking professionals. 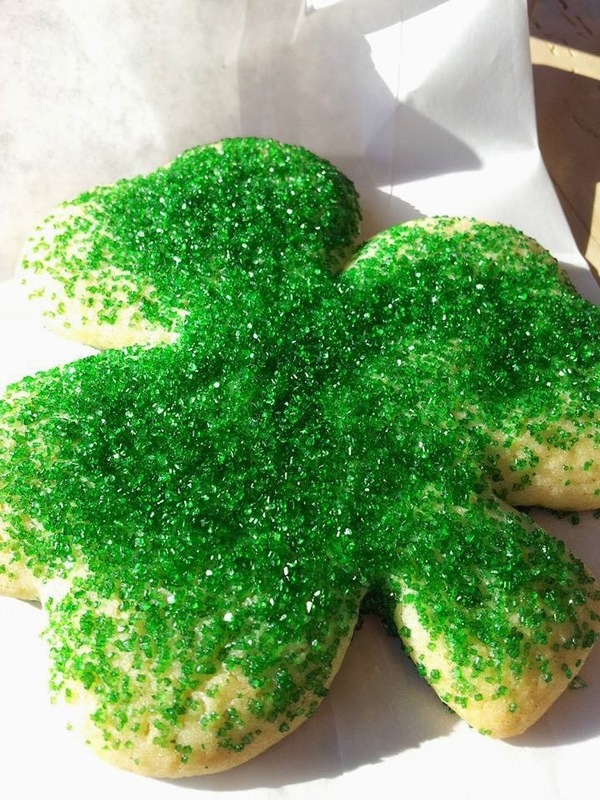 At Yellow Dog Bread Company in Downtown Raleigh this week, I tasted this great shamrock sugar cookie. Yellow Dog is one of my favorite Tuesday spots in Downtown Raleigh. 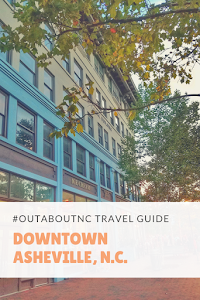 It's located on Franklin Street in the Historic Mordecai area. I hit this bakery/coffee shop after dropping my son off to school. 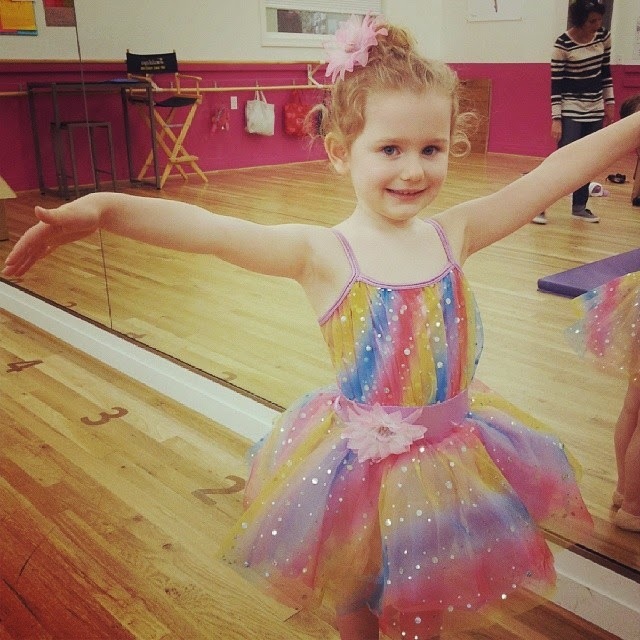 You-know-who and I have about an hour to kill before her dance class. 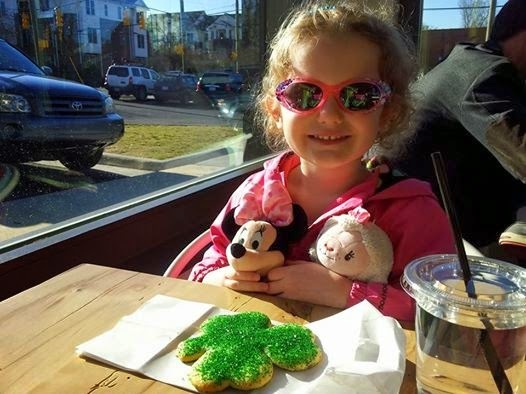 Yes, the cookie was for her, and I barely even got half a clover. 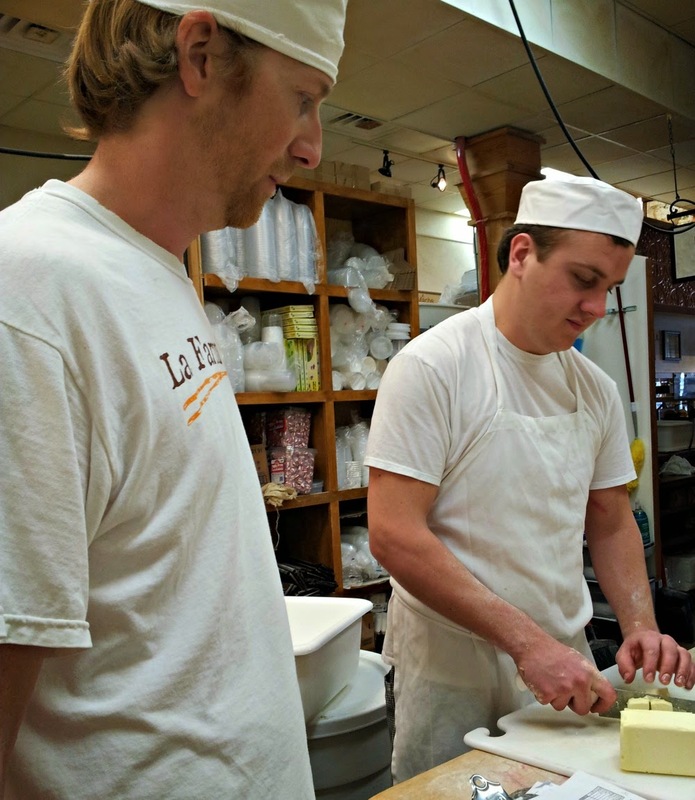 LaFarm Bakery in Cary, N.C. is my other favorite place in Wake County to go for coffee and baked goods. It's off my normal beaten path, but I love to get over there when I can. It's located off of Cary Parkway. 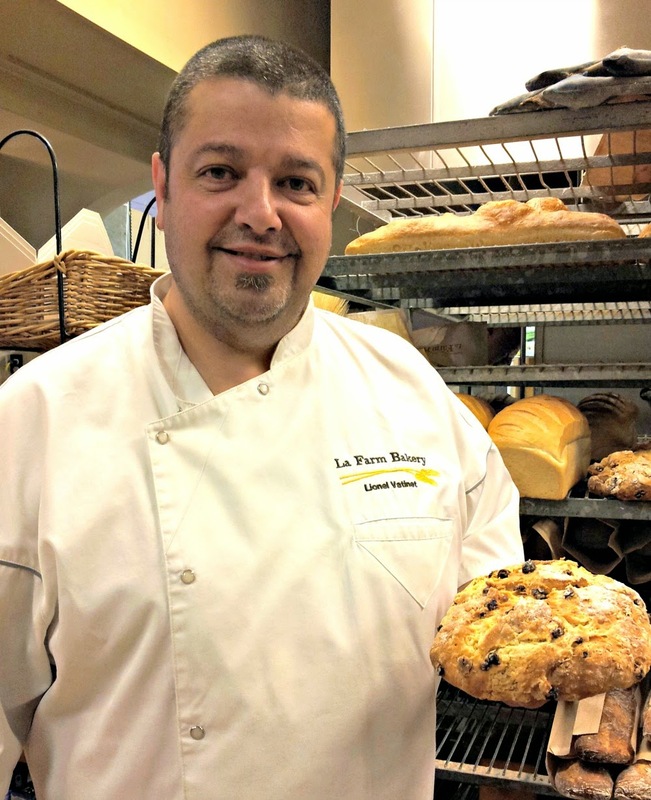 I was there last week working on a feature store with bakery owner and master bread baker, Lionel Vatinet. It was such a treat to pop in during one of their busy, seasonal times. 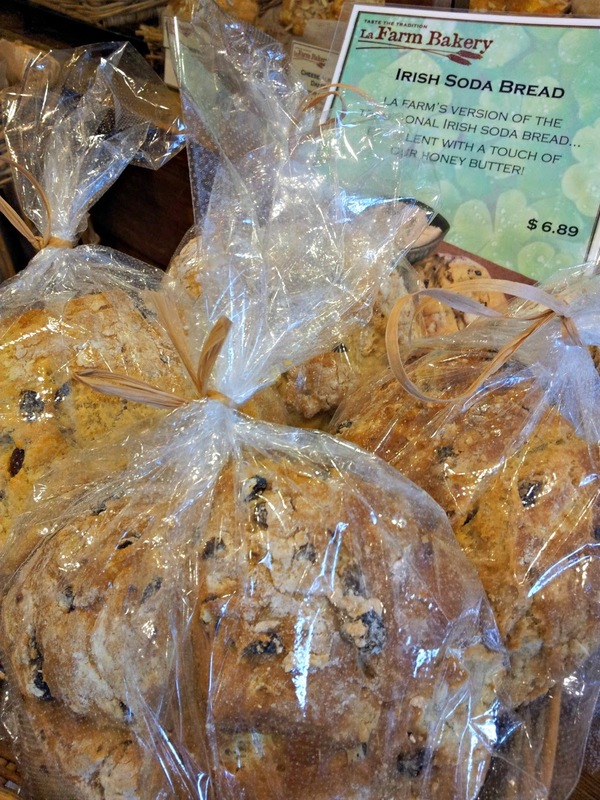 On this day, the bakery was busy making Irish Soda bread in addition to their other popular loaves. I was invited into the kitchen as they were making Irish Soda Bread that day. Lots of yummy butter goes into 40 loaves. 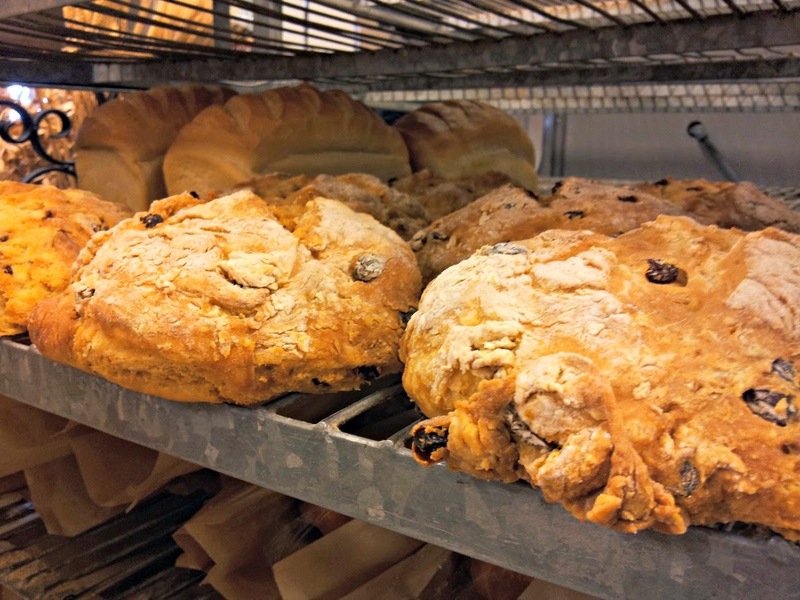 I'll be sure to let you know when my feature on Lionel and LaFarm Bakery runs because it may be published on a few different sites before it runs on this one. 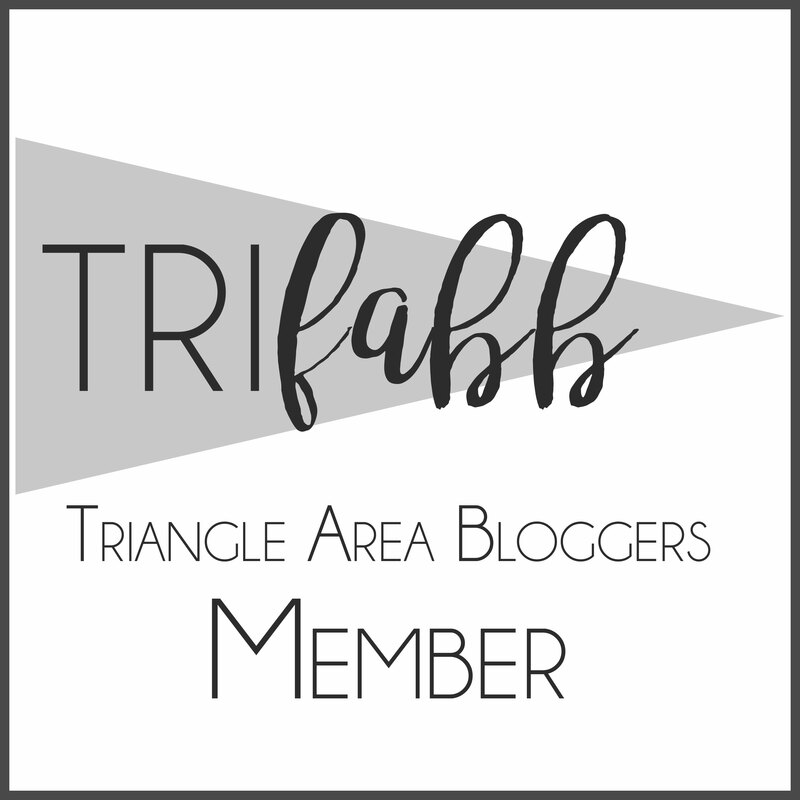 Be sure to follow me on social media and never miss a HinesSight Blog post by subscribing by e-mail, which can be done on my sidebar. I post about 2 to 3 times a week. Happy St. Patrick's Day! And I leave you with one more rainbow. One of my little sparkles in life. And for my travel lovers, follow @todestination on Instagram. She's my colleague at Skimbaco Lifestyle. 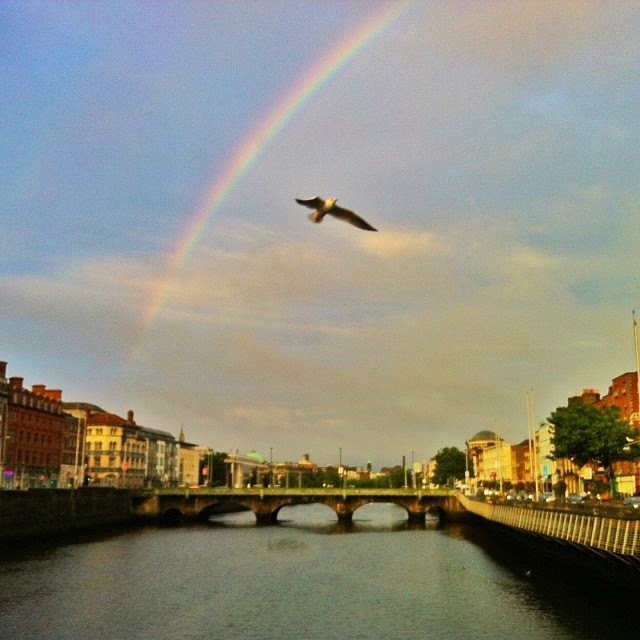 She captured this beautiful Irish rainbow in Ireland last fall.